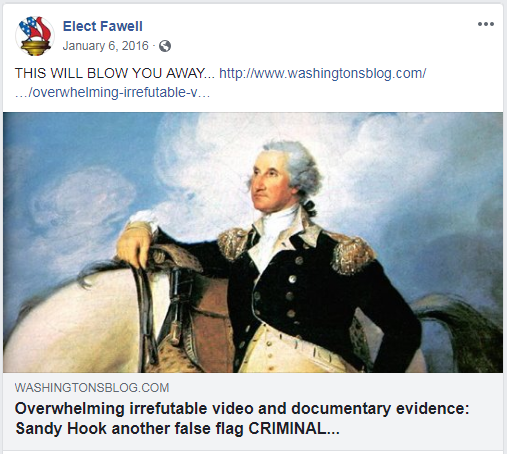 Fawell is a real estate broker and author who ran unopposed in Illinois’ March 20 Republican primary to represent District 17 in the U.S. House of Representatives. 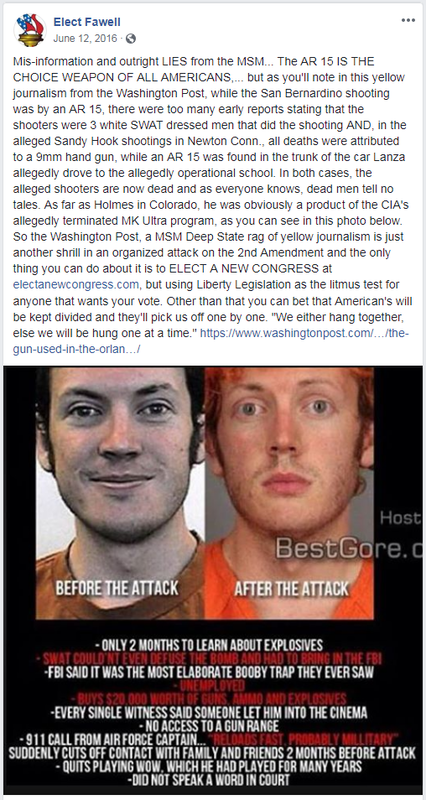 He is now facing incumbent Democratic Rep. Cheri Bustos. 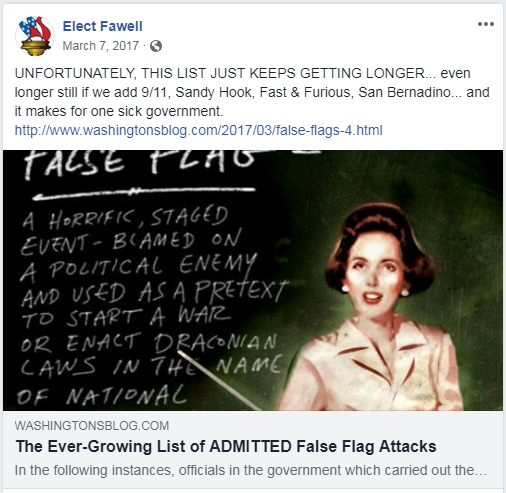 Several Republican committees in that district have suggested people vote for Fawell, including organizations in Jo Daviess, Peoria, Rock Island, Tazewell, and Whiteside counties. 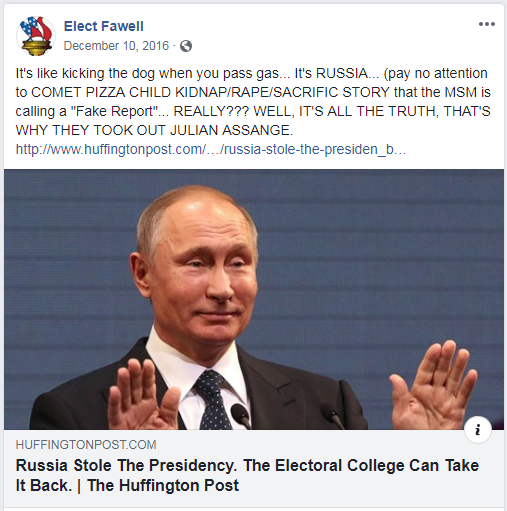 He has also been participating in numerous Republican events and is scheduled to appear at two GOP fundraisers in September, according to his website. 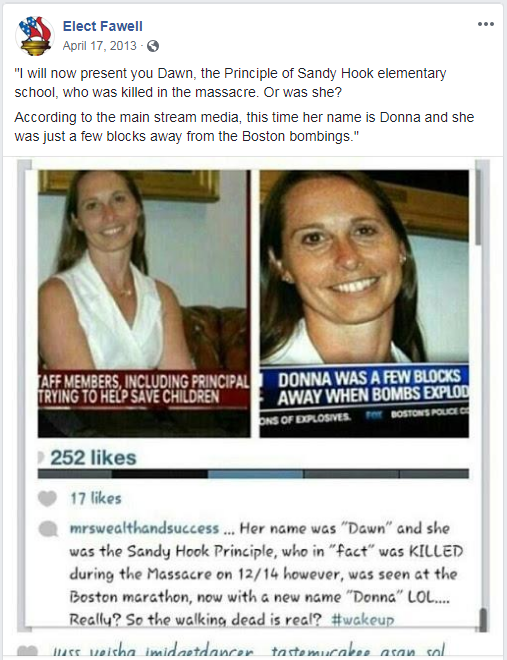 Fawell has repeatedly pushed conspiracy theories about the 2012 shooting at Sandy Hook Elementary School in Newtown, CT. Fawell has promoted material that claimed the shooting was a false flag and smeared late Sandy Hook Elementary principal Dawn Lafferty Hochsprung, who died trying to protect students during the shooting. 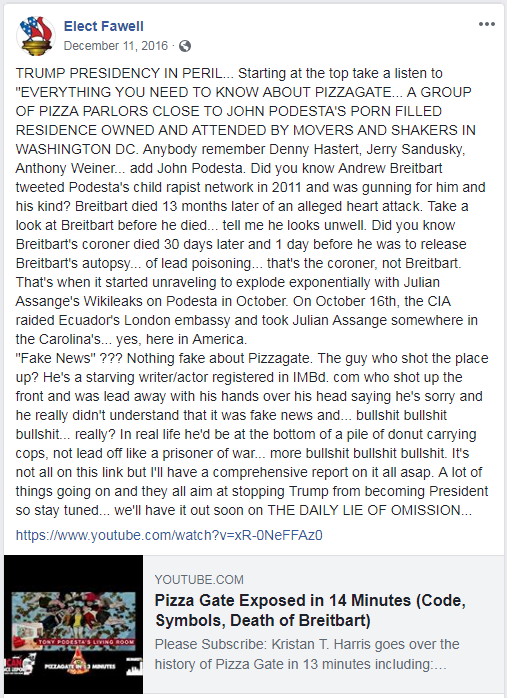 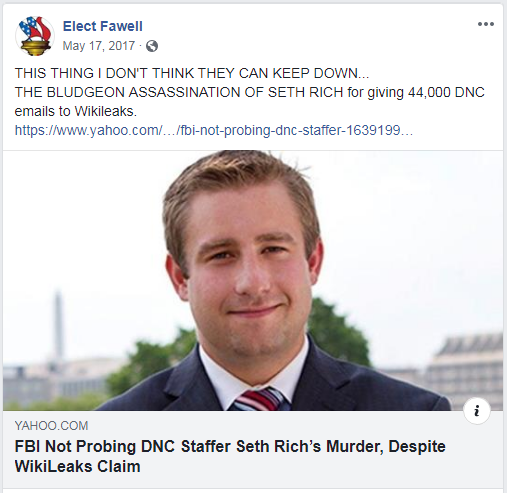 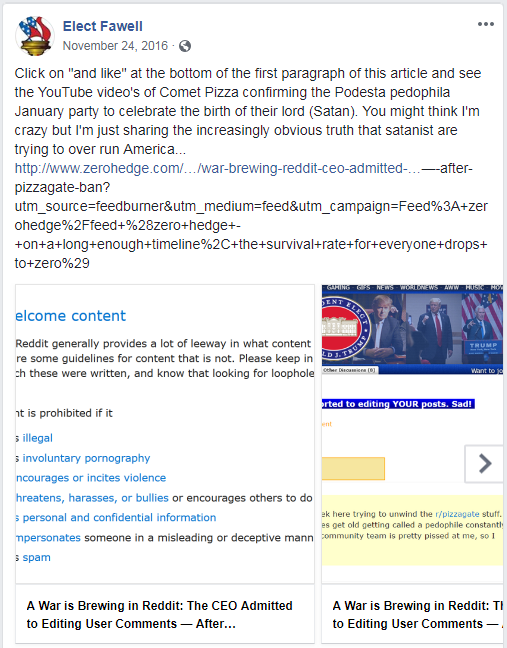 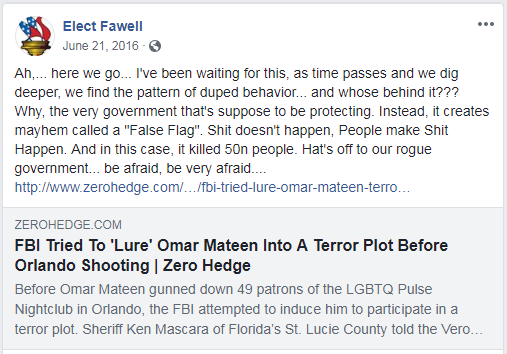 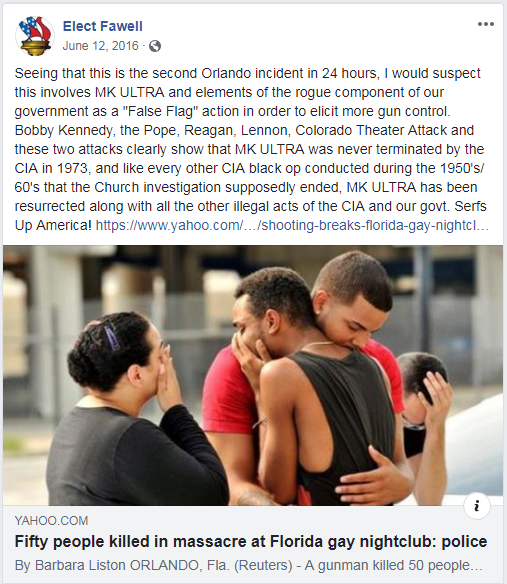 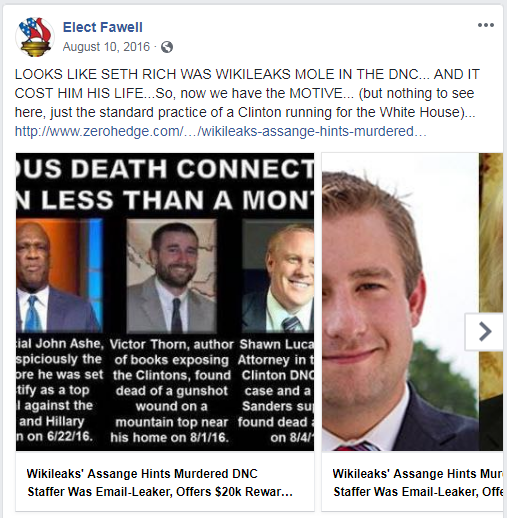 Fawell has pushed conspiracy theories about tragedies including the June 2016 shooting at a gay nightclub in Orlando, FL; the December 2015 shooting in San Bernardino, CA; and the 2012 shooting in Aurora, CO.
Fawell has repeatedly pushed the Pizzagate conspiracy theory, which falsely holds that prominent politicians have trafficked children through the Washington, D.C., restaurant Comet Ping Pong. 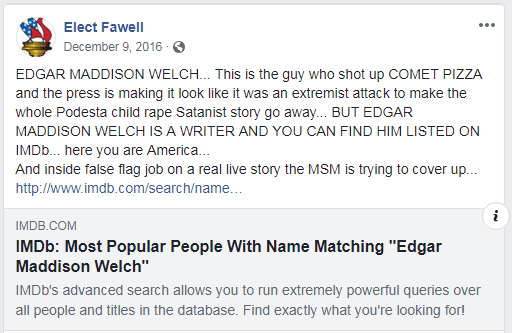 In December 2016, Edgar Maddison Welch went to the restaurant and fired a shot inside; he was later sentenced to four years in prison.